The hip-hop star is said to have grown close to the catwalk beauty after personally selecting her to appear in the music video for his single “Flashing Lights”. 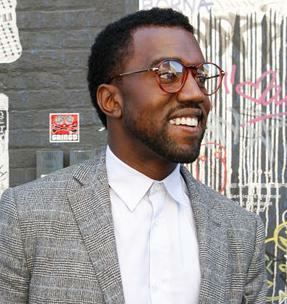 However, it seems 31-year-old Kanye faces competition for Sessilee Lopez’ affections. The American beauty, who modeled lingerie at the Victoria’s Secret fashion show in Miami earlier this month, is being romantically pursued by a host of handsome stars. The source added: “Everyone wants a piece of Sessilee, she is one of the hottest models around. But she is very fond of Kanye though.” Kanye has been officially single since splitting from fiancee Alexis Phifer in April. The pair are believed to have separated because Kanye West, who has just released new album “808s and Heartbreak,” was too obsessed with his career.